Mortality affects us all. In addition to the emotional fallout, survivors must also deal with the stress of settling a loved one's estate. Disagreements over dividing assets can result in divisive and emotional probate disputes. To prevent this, benefactors use Transfer on Death (TOD) Agreements. Described by the SEC as legal documents that allow people to transfer securities directly to others without having to go through probate, those undertaking the TOD registration will help clarify the deceased's wishes and help move the estate settlement process along more smoothly. While TOD Agreements weren't designed to provide special tax advantages, there are important tax considerations for benefactors and their beneficiaries. With that in mind, understanding the details of your transfer on death account is absolutely critical. When a beneficiary assumes control of a TOD account, they are not held responsible for the taxes accrued on the inheritance prior to assuming possession. Also, they will not be forced to pay higher income taxes when the TOD account enters their possession. Also known as the "death tax," estate taxes are assessed after all other liabilities of the estate have been settled. These liabilities include creditor claims, qualified charitable deductions, final expenses and administrative fees for handling the estate. Estate taxes don't affect beneficiaries' personal taxes, but they are liabilities of the estate and affect how much beneficiaries inherit. Depending on the year that a decedent passed, specific thresholds determine the estate's tax liability. Recent changes to estate tax law gave us the American Taxpayer Relief Act (ATRA), which increased these thresholds and the estate tax rate. The IRS states that filing is required for decedents passing in 2017 with estates exceeding $5,490,000 in assets and prior taxable gifts. According to the Wall Street Journal, the new estate tax rate is 40 percent. If this threshold hasn't been reached, there is no IRS filing requirement. These filing duties are one of many transfer on death tax implications you must account for. Beneficiaries aren't liable for taxes on any income generated before they take possession of their inheritance. They're also not assessed personal income taxes at the time of their inheritance. In the US, beneficiaries receive their inheritance after taxes have already been paid by the estate. However, any new income generated after they take possession is subject to income tax at the local, state and federal levels. Examples of income from assets can include dividends from stocks, interest from bonds, certificates of deposit (CDs), real estate investment trusts (REITs), limited partnerships (LPs), exchange traded funds (ETFs) and mutual funds. Exemption from federal estate tax doesn't mean beneficiaries are automatically exempted at the state level. State taxes are assessed independent of federal taxes. As of publication, 18 states and the District of Columbia impose an estate tax, inheritance tax or both. Washington has the highest estate tax rate topping 20 percent, while Maine and Connecticut share the lowest top estate tax rate of 12 percent. Nebraska has the highest inheritance tax rate topping 18 percent, while Maryland's only tops 10 percent. Estate and inheritance taxes both apply in New Jersey and Maryland. It’s important to note that some of these states have either recently repealed estate and inheritance taxes or they're expected to sunset without being renewed. What Are Estate Settlement Costs? Do You Have to Pay Inheritance Tax If a Relative Leaves You Money? 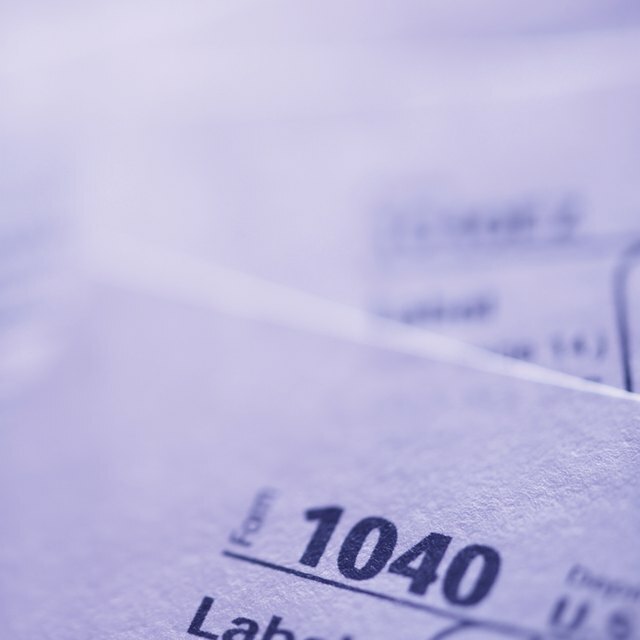 Tax laws frequently change, especially at the state level. This makes it increasingly difficult to design tax-efficient strategies based on existing tax laws. Always seek guidance from an experienced CPA or Estate Planning Attorney. The consequences of going it alone can be expensive and could create personal conflict between beneficiaries. The gift of clarity can sometimes be more meaningful than the gift of money. If you have not been exempted from federal estate taxes, you can use IRS Form 1041 to document all transfer of assets from descendants to beneficiaries. Tax Foundation: Does Your State Have an Estate or Inheritance Tax? Michael MacLean is the owner/proprietor of MACLEAN & Co. Financial Planning in Port Huron, Mich. He has more than 20 years of experience, including positions as a trader and financial adviser. He earned his MBA at Kettering University and currently holds the MFP® Master Financial Planner™ designation.